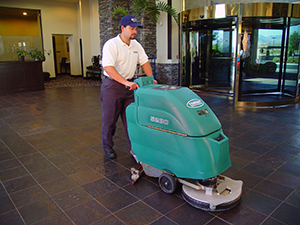 In Las Vegas, keeping your commercial building clean is essential for good business and hiring a quality janitorial services company is key. At Roses Professional Cleaning, we have high janitorial services standards designed to ensure absolute cleanliness in your office, high-rise, or construction site. We are friendly, reliable, and your ultimate satisfaction is our #1 goal! What exactly are our janitorial services? That’s up to you! We have a range of janitorial services we provide and can customize our janitorial services packages specifically for your business. If you need janitorial services in Las Vegas, give Roses Professional Cleaning a call today. We’ll be happy to work with you to create the best janitorial services program for you.